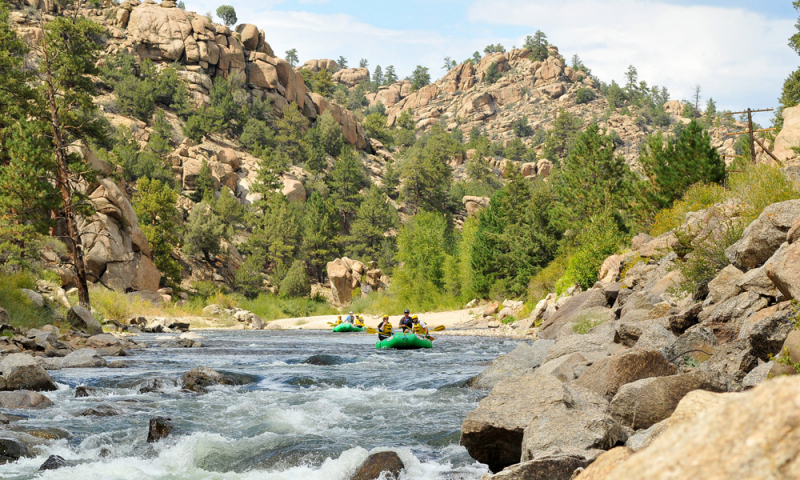 If you are looking for a trip that combines all of the Arkansas River’s best white water sections into a great multi-day white water rafting adventure tour, this may be the one for you. 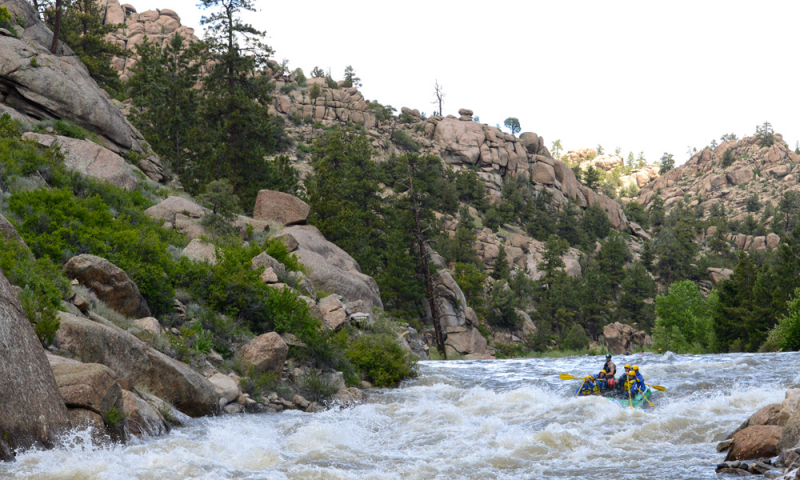 Wilderness Aware is the only company in Colorado offering this length of rafting tour on the Arkansas River. 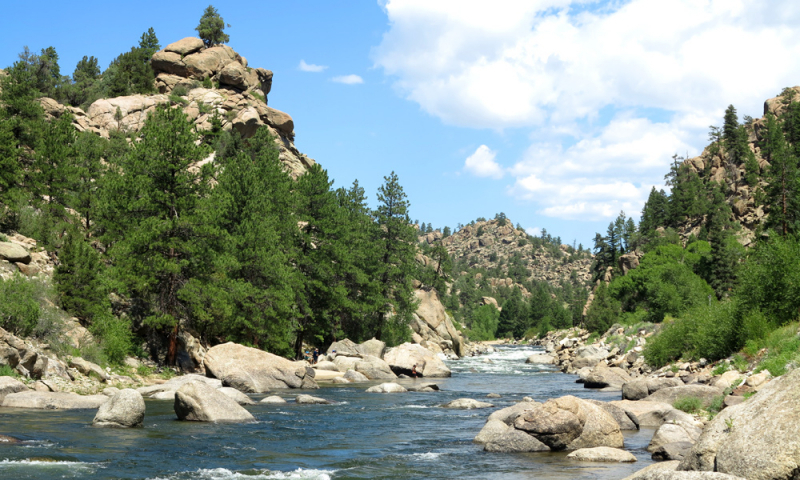 Day one begins in the Narrows, we continue through Browns Canyon on day two. 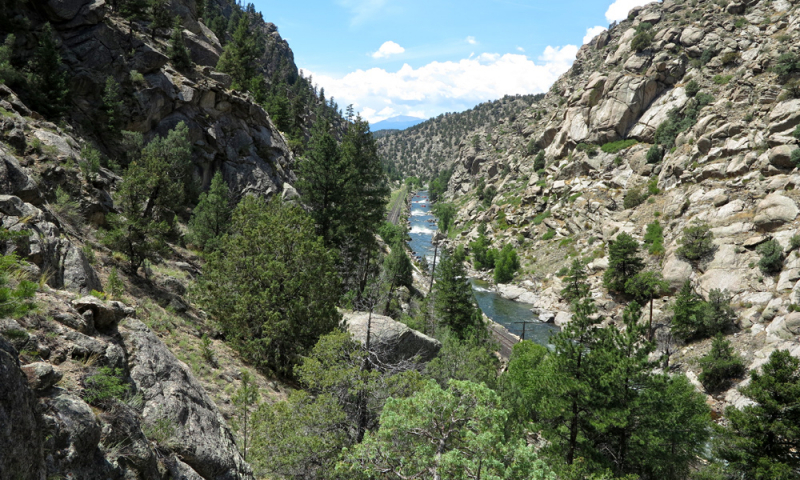 Day three passes through Upper Bighorn Sheep Canyon and day four passes through Lower Bighorn Sheep Canyon. 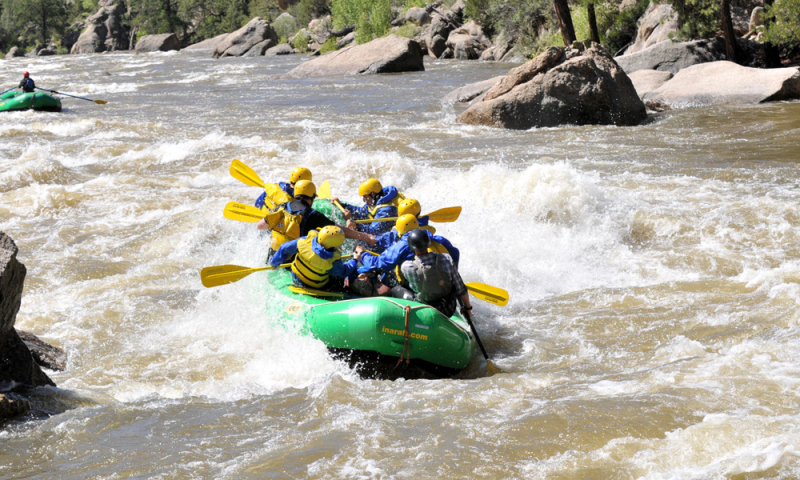 Depending on the interest and experience level of those on this adventure, we can finish the trip around mid-day of day five, or finish on a rollicking white water note in the Royal Gorge (ages 14+ only in the Royal Gorge section). 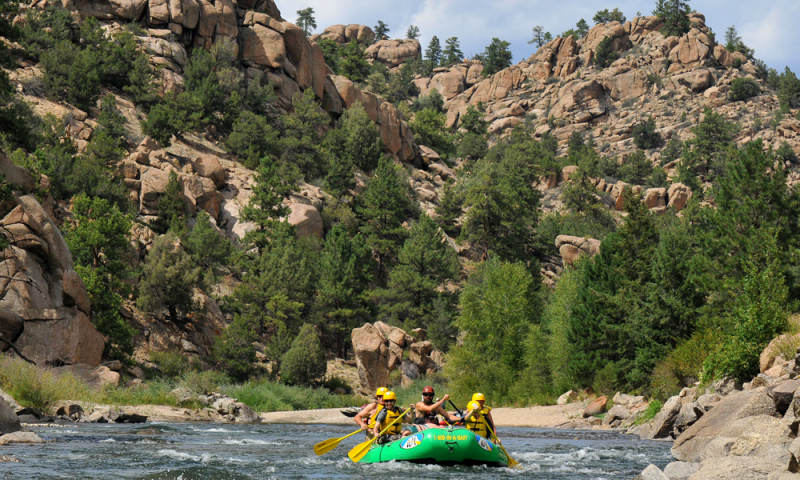 This our favorite multi-day rafting adventure tour on the Arkansas River and the longest rafting tour available in Colorado during mid to late summer. 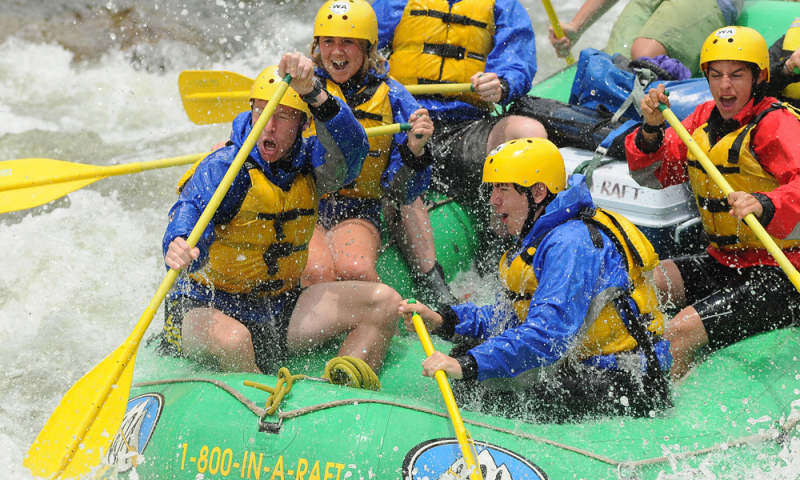 We like this white water rafting tour because the group can really get to know each other and develop a sense of community during the course of the week. 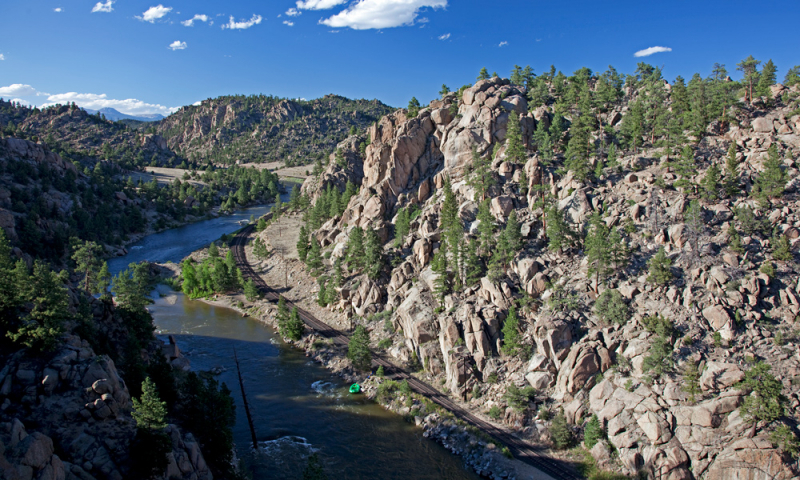 This river tour is perfect for those with a week off and looking to really get to know this popular Colorado River. 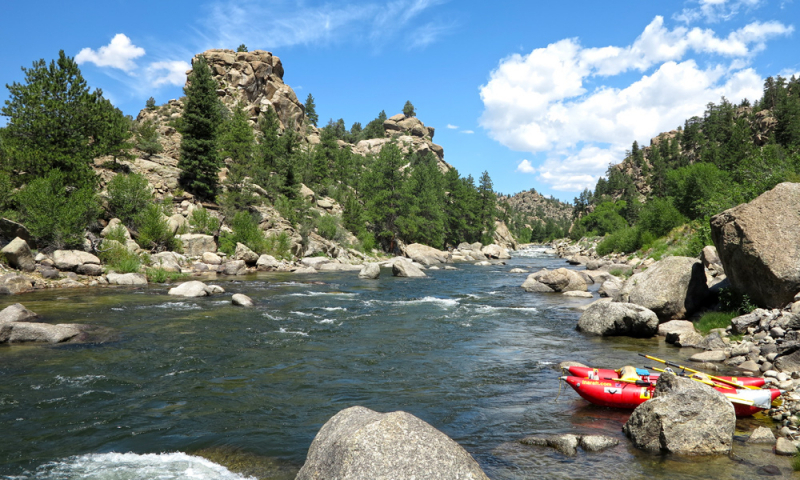 For those interested in guiding their own boat and keeping their adrenaline up, we have the option of using inflatable kayaks on parts of the second through fourth days. 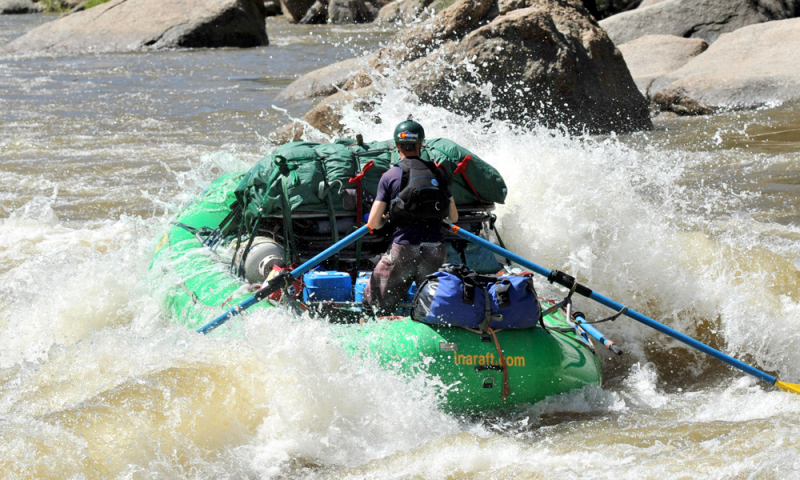 Inflatable kayaks are long skinny rafts that are more stable than hard-shelled kayaks, but maneuvered with the same kind of two bladed paddle that is used in a hard shell kayak. These little boats are perfect for those looking for some extra excitement on their vacation. *Youth must be age 8 or older and weigh at least 50 lbs. Minimum age and weight are subject to increase due to high water. 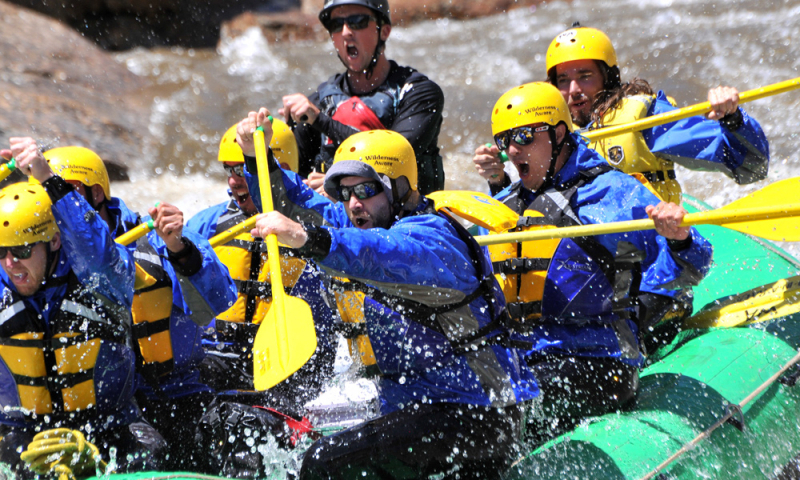 Youth must be age 14+ to raft the Royal Gorge on Day 5. 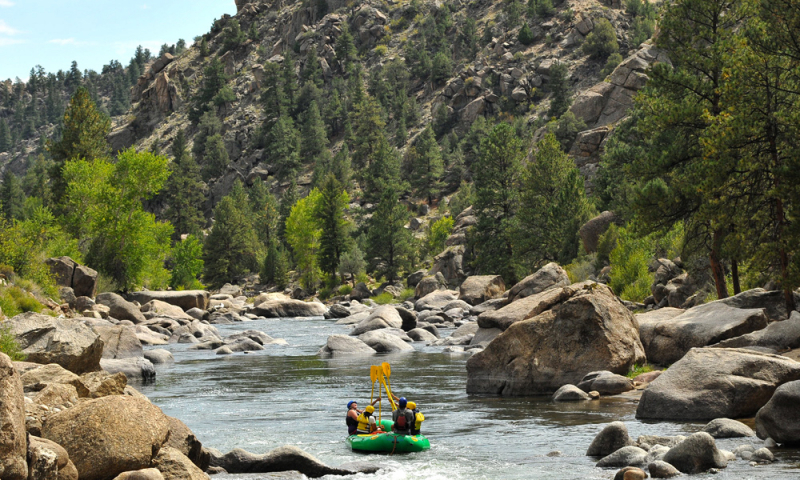 Price listed includes your lifejacket, helmet, guide, boat, overnight bag, portable chemical toilet, transportation to and from the river, continental breakfast, all meals from lunch on day 1 through lunch on day 5, and snack after the trip. The prices listed do not include 9% land and water access fees, cold weather rentals, camping rentals or guide tip.